Have you tried Slingo yet? 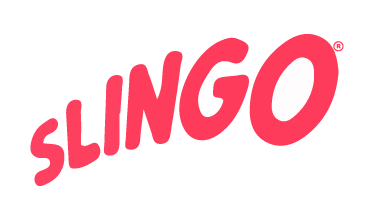 Combining slots and bingo into one game, Slingo has started popping up on various bingo sites across the net. Now, thanks to Gaming Realms, it has a permanent residence. Slingo is a new site, designed to be the best place to play Slingo and casino games. It’s also the only place to play Slingo for real cash prizes. Every time you take a spin on Slingo Riches, you have the chance to win a £20,000 jackpot. If you play Slingo Extreme, one spin could win you £50,000! Of course, there’s more to Slingo than just Slingo. The site also has a big range of slot and casino games. Old favourites like Fluffy Favourites and Shaman’s Dream are here, while brand new video slots like Guns N’ Roses are featured too. There are poker, roulette and blackjack games to play too, if you get bored of slots. Slingo also has a 50 free spins welcome offer, available to all new members. Best of all, there’s no need to deposit to start spinning. Simply register with Slingo, add your credit or debit card details to your account (no payment will be taken) and you’ll receive your free spins instantly. New members also receive a 100% first deposit bonus, giving you a maximum bonus of £100. Make a deposit of at least £10 and you’ll immediately double your playing funds. Your second deposit also gives you an extra bonus. Make a second deposit of £20 and you’ll receive 20 free spins for Starburst, Twin Spin or Gonzo’s Quest. With a nice range of games and some interesting promotions, Slingo is worth checking out. Here’s hoping the site will continue to be updated regularly with new promotions to keep players interested.